Vocational orientation is a process in which the areas a person can have an advantage when developing an educational and/or professional path are discovered. It gives people an understanding of their intellectual and emotional potential, as well as their real professional preferences. 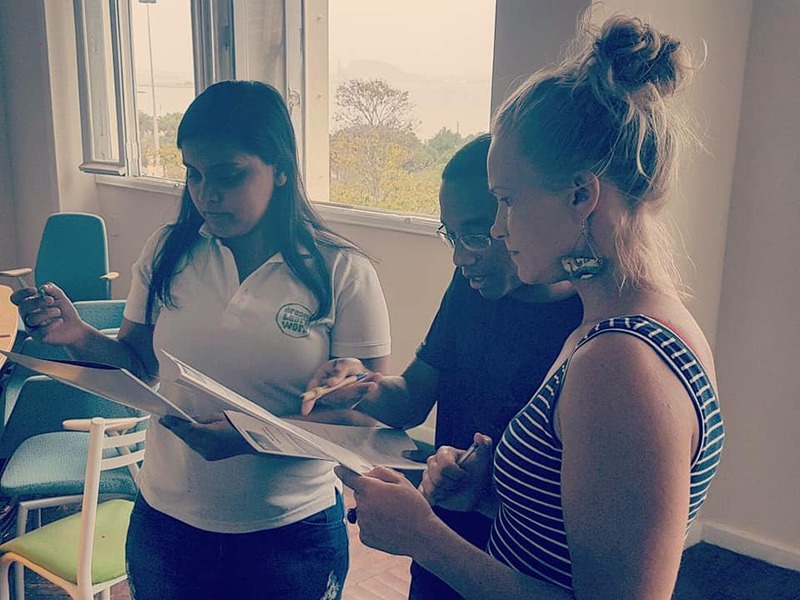 In the communities of Rio de Janeiro the challenges our participants face are many, to start there is a lack of role models and motivation to choose education. When we arrange these workshops there is a lot of work to be done before they end up with a professional dream and an educational path. Some of the participant have a narrow view and live in a world that is not inspiring, we try to inspire them to dream through their talents and abilities. ‘’What are you good at? What do you like to do? What do people say you’re good at?’’, these are examples of questions asked. Some of our participants figured out their path towards culinary school after realizing their talent and interest in cooking. 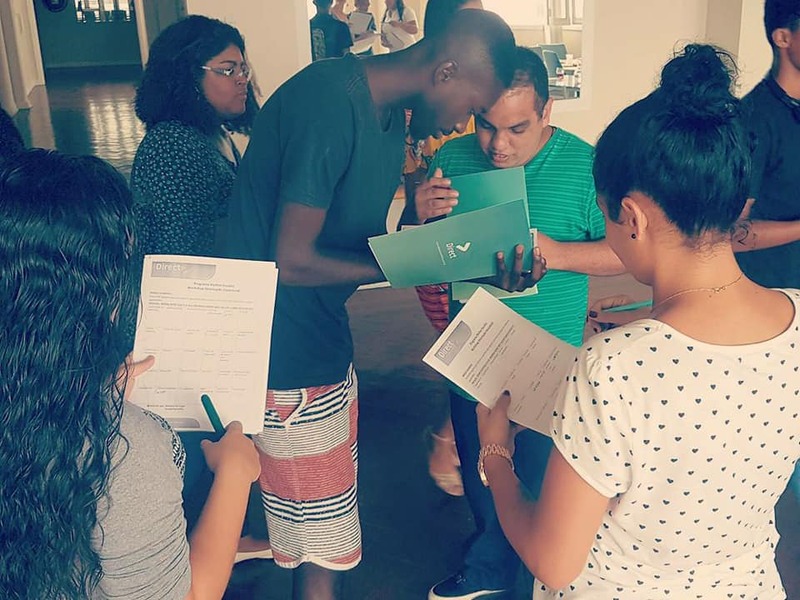 Because higher education is reserved to the elite of Brazil, many of our students do not have contact with people that have a degree or a job that would demand further education. That is why we take them to our partner companies and arrange visits to vocational training centers and help them get knowledge of the array of options they have towards their professional future. 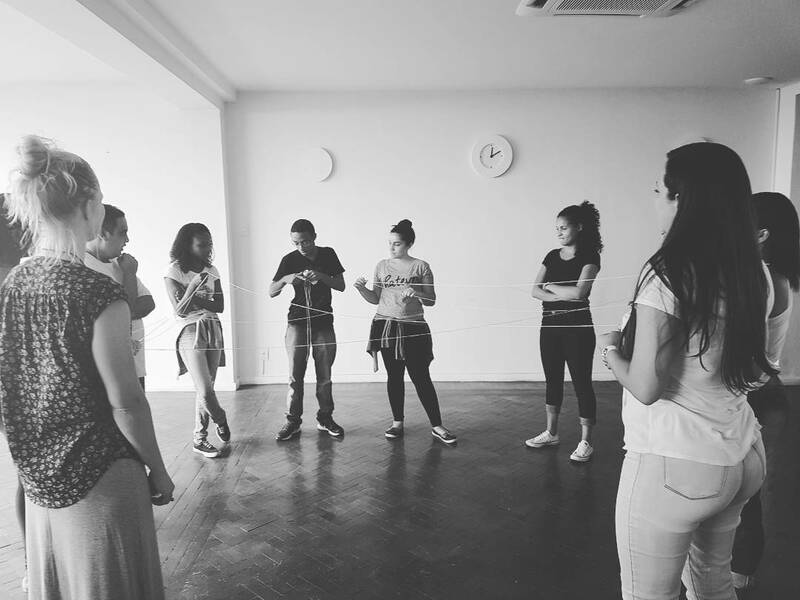 During the workshop, DIRECT used group exercises and music to achieve a connection with the participants and inspire them. 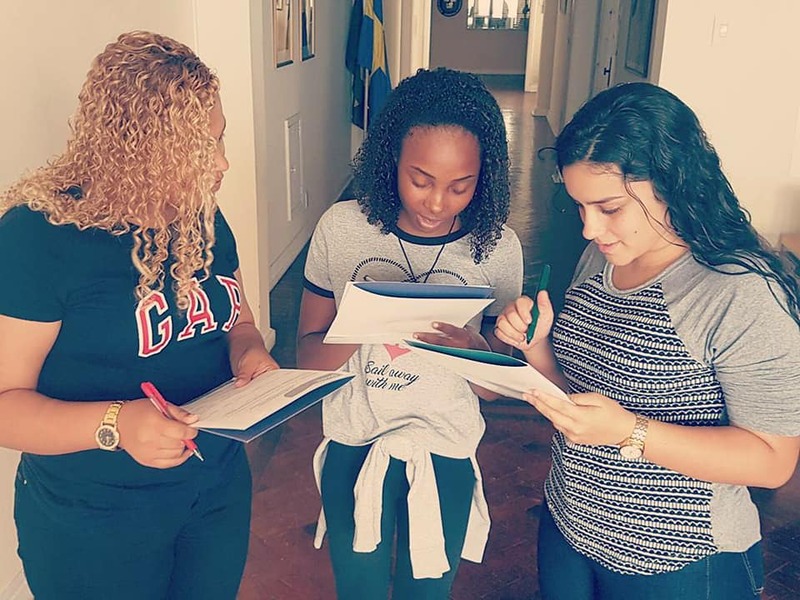 Participants had to make a list of over ten accomplishments that they should meet towards their final goal (the professional dream) with a time limit. 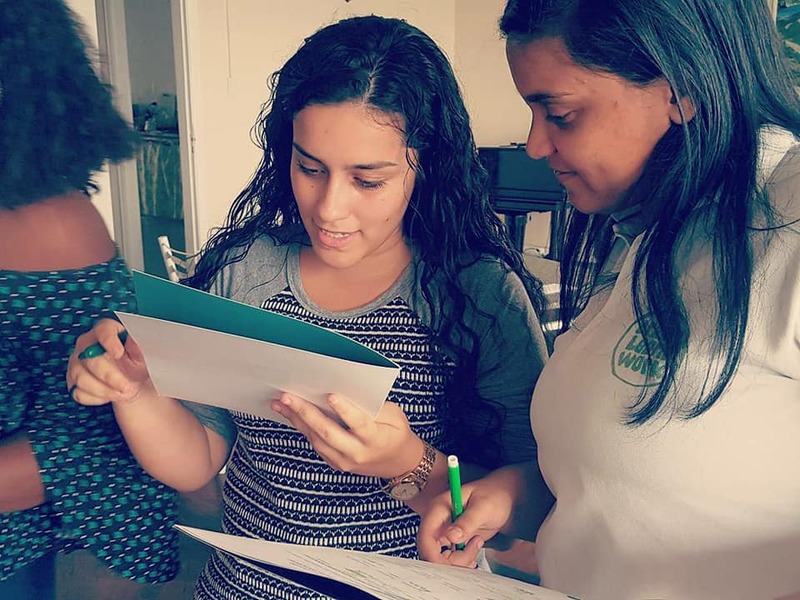 From the first to the second workshop they also had homework, and had to change something in their life that would facilitate their educational path. Many of our participants say they want to become a lawyer, a doctor, a vet, an architect because of the social value and tradition of these professions. At these workshops we always talk about talent, abilities and their dream to understand if it is really their dream or somebody else’s or the social expectation. One thing we have realised is that these young adults need to be motivated, supported and encouraged to complete the educational path they started on, therefore it is essential that they follow their dream, not somebody else’s dream for them or just because it will give them status. At the workshop with DIRECT the participants also worked on other traits and qualities necessary in a professional setting, such as moral and ethics, punctuality, responsibility, motivation and priorities. 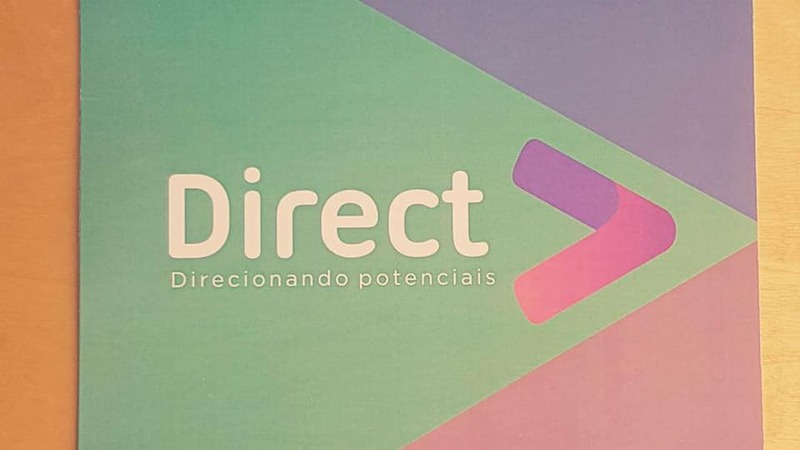 Thank you DIRECT for your help with assisting us in bringing the participants towards a better future!